"People who fled their homes with nothing are returning to nothing. 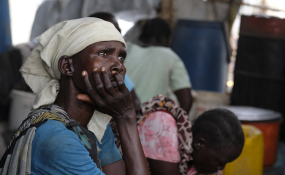 They need urgent support to recover their lost livelihoods and rebuild their lives," said Mark Lowcock, Emergency Relief Coordinator and Under-Secretary-General for Humanitarian Affairs on Thursday in Juba. "We are observing an increasing number of population movements across South Sudan, including many people returning to their home areas. It is vital that they do this in a voluntary, informed and dignified way," he said.